You may be familiar with Big, the 1988 movie starring Tom Hanks where a young boy transforms overnights into an adult. So, 31 years on, Little turns the concept on its head in that the ageing process goes in the opposite direction. Unfortunately, the quality of the two films also serves as a contrast: while Big is fondly remembered by those who were around in the 1980s for its release, Little will struggle to leave as strong of a lasting impression. 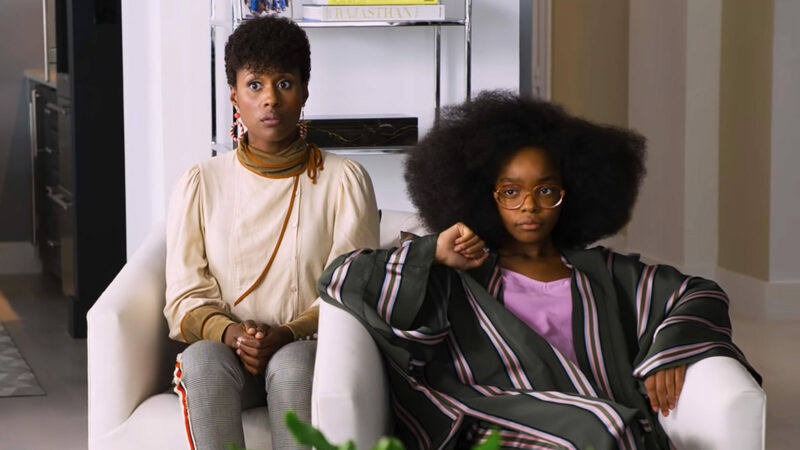 We’re introduced to 13-year-old Jordan Sanders (Marsai Martin), who is a highly-intelligent young girl at school, but is humiliated regularly by bullies. These experiences understandably upset her, though her parents reassure her that things will change once she is grown up. Jordan takes this in a slightly different approach than what was likely intended: to ensure that she is not bullied by others when she is an adult, she instead vows to bully anyone and everyone else. Fast-forward from 1993 to the modern day, and Jordan (played at this point by Regina Hall) is now the head honcho at a successful organisation, filled with talented employees who have the desired people skills and creativity. Problem is, Jordan herself does not, instead choosing to treat everybody like garbage, speaking down and being extremely critical and harsh at all times. This particularly annoys April (Issa Rae), her trusty assistant who works overtime to under-appreciation. It also frustrates some youngsters who visit the office, one of whom casts a magic spell that, overnight, turns Jordan into her teenage self in order to teach her about what life was like at a time when she was picked on rather than picking on others. 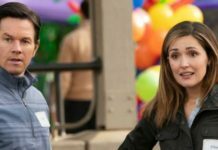 When she discovers what has happened, Jordan is horrified, and it takes her a while to convince April as to what has transpired; even then, April is sceptical. It also alerts authorities and others in Jordan’s social circle, so much so that the fallout sees the young-looking Jordan return to her old school, while April is tasked with temporarily managing the company. Though the obvious story concerns whether or not Jordan can return to being her old (or older) self, the bigger question is whether or not Jordan will be able to realise why this has happened and whether she can change for the better, and how this could impact the likes of April. The tone is light-hearted throughout, meaning that we are never meant to take on-screen events too seriously, and there are deliberately-ludicrous situations stemming from the circumstances that have transpired (such as Jordan not being able to tell her adult boyfriend where or who she actually is while in the feigned position of being her child), and the set-up is treated with kid gloves rather than being a super-serious life transformation. The budget seems relatively big for this film, given the locations and props used along with the fairly large advertising campaign. And we get some strong performances, in particular from Issa Rae who is the highlight of the film. The big downside for me was how unpleasant Jordan’s adult character really is. It leads to situations that are intended to be funny, but come across as overly mean-spirited. In a comedy like this, we should be able to laugh along with Jordan, so even when she is being nasty, it can raise a chuckle or two. Instead, it seems too much for the viewer to take. Thankfully, things improve once Jordan returns to childhood, though her brash attitude remains. Of course, this is all part of building her character, as the whole point is that she has to go back in time to learn the error of her ways, but it could have been done in a way that we still support her quest rather than feeling scorn. April’s character is sympathetic enough, but Jordan’s persona definitely isn’t. There also could have been more laughs in general, because there weren’t any hilarious scenes that I could recommend to someone who may wish to see this flick themselves. So, Little was a disappointment; ironically, Little provided little in the way of entertainment overall. 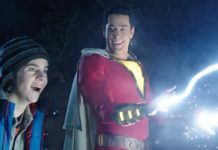 It isn’t terrible by any means, and the fantasy premise serves its purpose, but more should have been done to make Jordan even remotely likeable, and there should have been funnier moments inserted as a whole. Had these issues been addressed, perhaps this could have lived up to its predecessor of sorts from 1988.